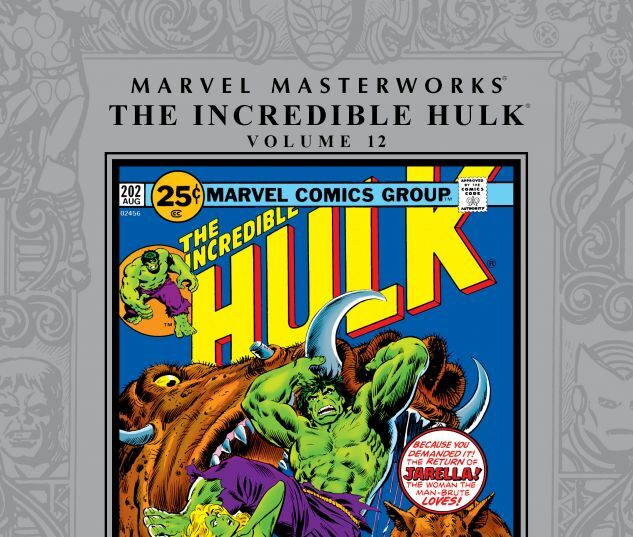 The always incredible Hulk’s adventures continue, led by Len Wein and Sal Buscema! And they kick things off with an all-out slugfest between the Hulk, Man-Thing and the Glob! While the Hulk fights for his life, romance grows between Betty Ross and Doc Samson. It’s the kind of relationship that leads to a battle between green hair and green skin! Then, in the milestone issue #200, it’s microscopic trip — literally — into the mind of Glenn Talbot! 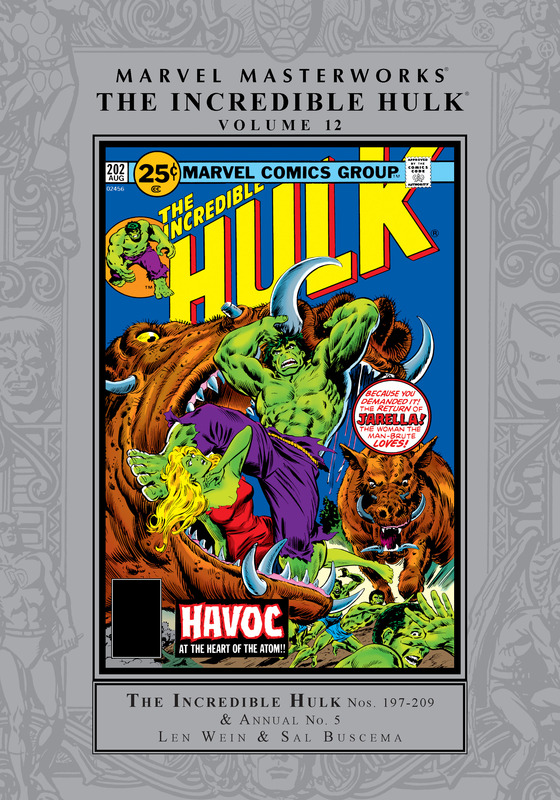 Hulk’s return to the heart of the atom brings him back to his love Jarella, but the tragic events that follow drive the Hulk into a berserker rampage! Also featuring the Defenders, the Absorbing Man and a giant-size Annual in which Hulk battles classic Marvel monsters! 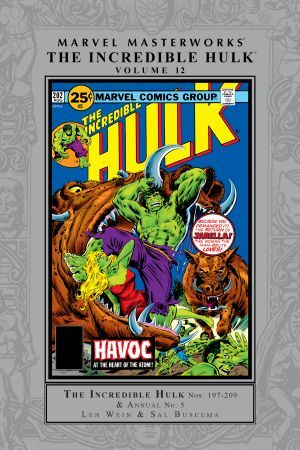 Collecting INCREDIBLE HULK (1968) #197-209 and ANNUAL #5.